Just recently I’ve become rather fascinated by the subject of salt. Not only do I love the taste of the stuff, but I’m feeling so much better for adding it responsibly to my diet. Let me expand on what I mean by this. 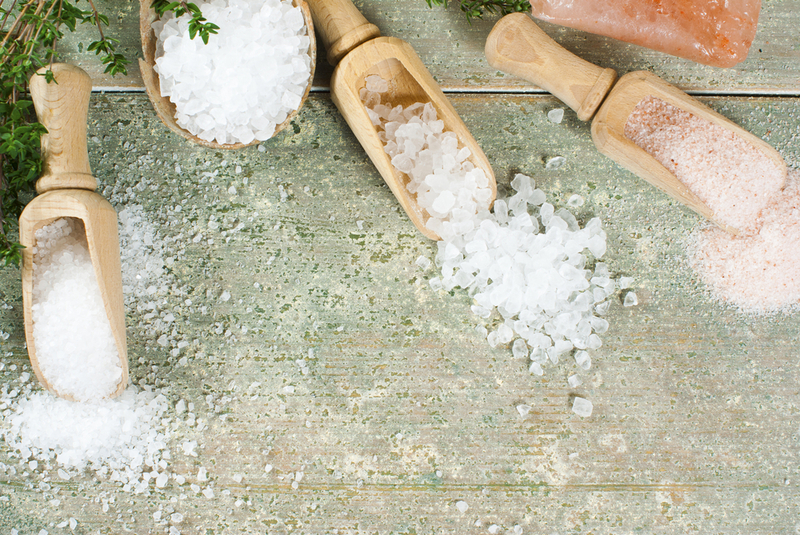 I’ve worked for years with a nutritionist in the states who has guided me through the myths and misconceptions around salt and the supposed dangers of using it. So in a nutshell there is salt and there’s salt! When most British, American and Western civilized cultures think about salt, they are talking about the ‘table salt’ that is readily available in the supermarket and which is on the table in most restaurants. 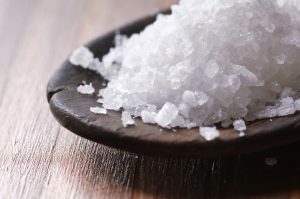 This type of salt is sodium chloride with maybe some iodine added in; a 2-3 mineral toxic product that does damage to the body in a number of ways but most especially by retaining water in the body, which can increase blood pressure. This is what we call salt in our culture and quite rightly, it has a very bad reputation. The kind of salt I’ve made friends with and recommend is ocean water or land minerals that are completely natural and from the cleanest part of the sea or mountainsides. This type of salt could be described as a wholefood and it contains anywhere from 50-80 naturally occurring minerals, maybe more. Interestingly, a healthy human bloodstream and a healthy ocean have the exact same proportion of minerals. Isn’t nature clever? The trace minerals present in these kinds of salts are vital to the function of every single cell, tissue, organ and gland in the body. We have a need for minerals – it is one of the vital nutrients but we must have them in the proper proportions; the proportions that exist in high quality, natural, minimally processed salt. On my Facebook and website I recommend a few brands that meet the criteria. One of them is a coarse grey Celtic sea salt. It’s been harvested from the ocean and dried on the shores of Normandy. It is raked and handled like the precious substance it is and once it’s dry enough it is packed up and sold as completely natural produce. There is also have a fine ground version but I prefer the coarse grey. In order to produce a fine ground salt it needs to go into a machine. Those of you who’ve used a Vitamix or other high-powered blender will know how easy it is to generate heat during such a process. Heat causes damage to the salt, which I prefer to avoid. So by eating a high quality salt like this, you are taking into your body the right amount of essential trace minerals. Once you consume more than trace amounts they become toxic. This is why is can be problematic to use a liquid trace mineral supplements. Better to eat salt with confidence instead and stop feeling guilty about it. Most of us are deficient in minerals, so to begin with you may be hungry for more salt than you will need on an ongoing basis. I’m regularly enjoying freshly peeled ruby grapefruit dipped in Celtic sea salt as a pick me up snack at the moment. It’s delicious! Don’t be concerned about overdoing it; once you are tuned into your body you will eat just the right amount for your needs.